What a difference a fast-paced training program can make. 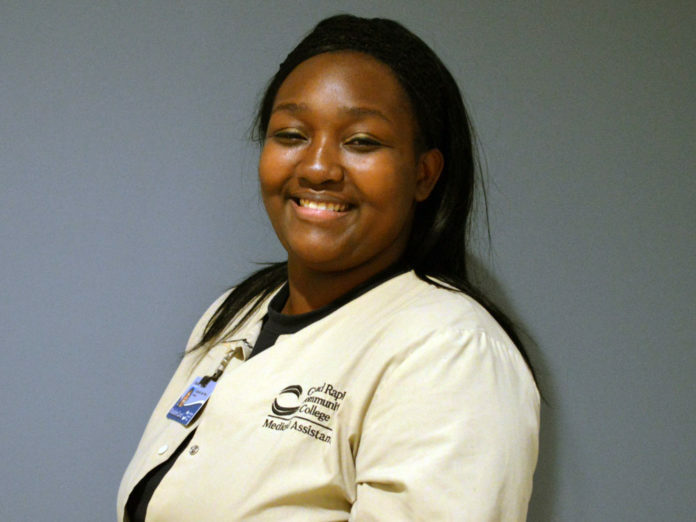 On Dec. 14, Pena will graduate from Grand Rapids Community College’s Medical Assistant Program. “This program caught my attention because I was able to work, support my family and continue my education without having to feel like I was being held back due to not making enough money,” she said. Formerly a certified nursing assistant, Pena is now making $3 more per hour with scheduled pay raises. 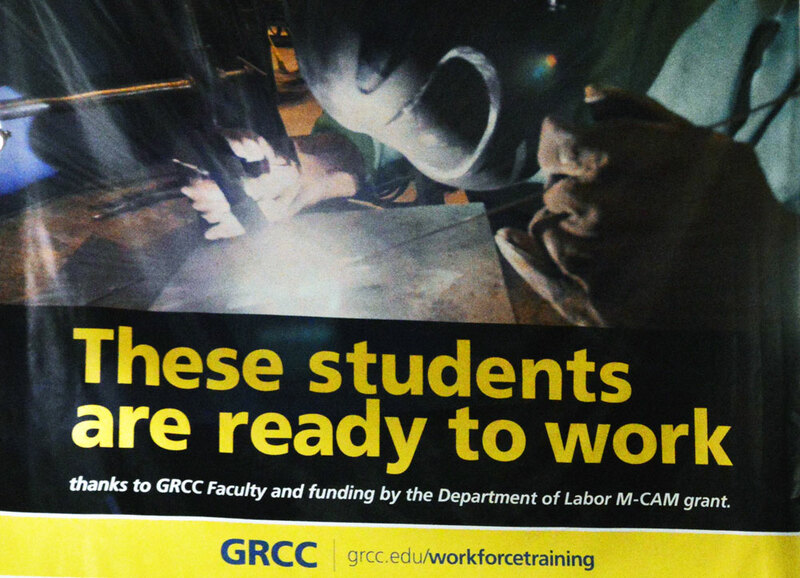 GRCC educators knew its workforce training programs — which aim to equip students with career skills needed by area employers — would have a ripple effect on the local economy. Now there’s data to back it up. The community college recently released an analysis of the economic impact of the programs, which range from healthcare to construction and manufacturing. Staff members hosted a press conference recently at the Tassell M-TEC Center, 622 Godfrey Ave. SW, where several of the programs are housed. “That equates to 3,000 jobs. That’s people that have been impacted…. 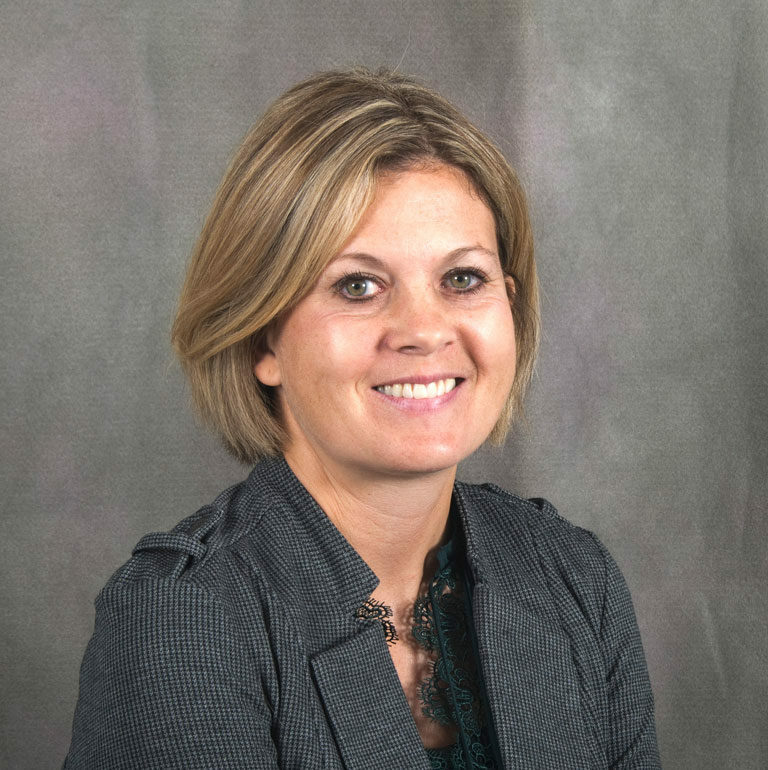 I think that’s the even better story,” said Amy Mansfield, dean of the school of workforce development. 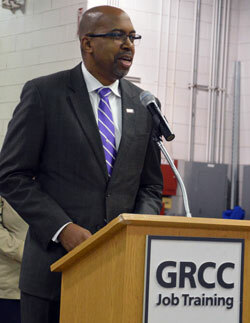 GRCC President Bill Pink said the study was done as a followup to an analysis done last year, also completed by Emsi, which showed a $447 million annual economic impact in Kent and Ottawa counties from GRCC’s credit programs. When examining that report, Pink said he and other administrators believed a piece of the puzzle was missing because the non-credit workforce programs also have a huge impact, but weren’t included. Emsi worked to develop a new methodology to study the economic footprint of GRCC’s noncredit workforce programs, which they can now use in other areas. 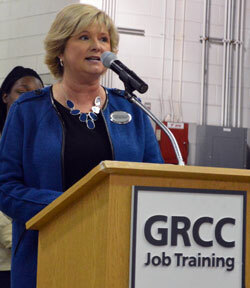 Mansfield said GRCC staff members are always keeping a close eye on job market needs in skilled trades like welding, construction, electrical and automotive, but also healthcare partnerships. America’s Promise, a federally funded grant through the U.S. Department of Labor, has helped support GRCC’s healthcare programs. Pink said filling the area’s need with skilled workers is a continuous goal.